The Cupcake cake is my newest thing! The top and bottom of the cupcake are all cake! 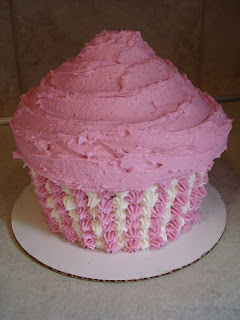 There are so many different ways that you can decorate and/or personalize your own cupcake cake. Each cupcake serves about 10-12 people. It was a big hit at work!